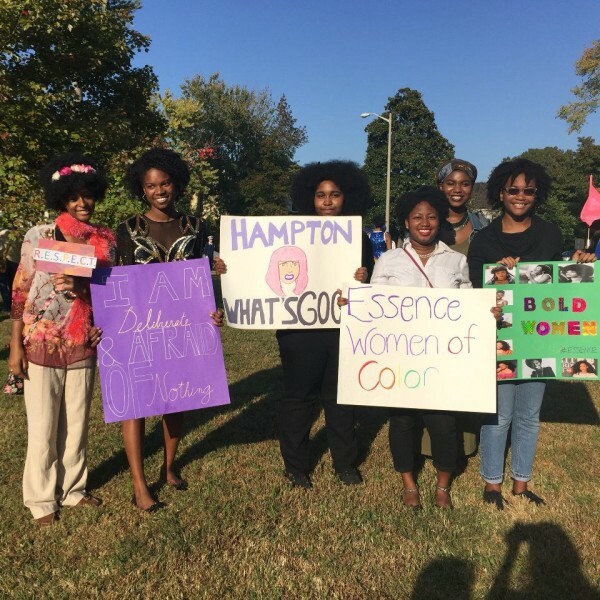 Some of the members of E.S.S.E.N.C.E Women of Color at homecoming 2015. We were playing Hampton University, hence the signs. Can you guess the theme these ladies are dressed to? About a year and a half ago, I walked in to the activity fair during my freshman orientation and signed up for more organization email lists than anyone should. Of those many organizations, only one has stood the test of time, and it is E.S.S.E.N.C.E Women of Color. ESSENCE stands for Educating Strength and Sisterhood by Executing a Nurturing Community of Empowerment. Lengthy, but honest. 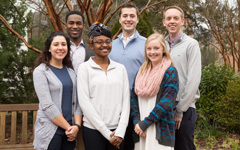 If asked to summarize William & Mary in one word, my answer is, and always has been, community. For me, and many other women on campus, that is exactly what ESSENCE has represented, a sisterhood, an accepting and open community within the larger Tribe. Founded in 1993, this group of women has become a family for me on campus, serving both as a support system and an educational outlet. As a group we try to support women of color on campus through our events, and presence at other events, as well as build a fellowship within the organization. Whether it is a discussion series on the portrayal of women of color in media, volunteering our time together, or a study break at the end of the semester where we blast music and play card games, our goal is to a be a resource and a refuge. ESSENCE has given me the chance to be a leader amongst my peers, as a member of the executive board, and made me more confident in my ability to break glass ceilings through the example of the upperclassmen around me. Basically, check us out here, our social media pages, and on Day for Admitted Students! No matter who you are and what you love, there is a refuge for you within the Tribe.